Greetings Quick Quotes friends and fellow crafters. LeeAnn here with a wall art I made for Quick Quotes. 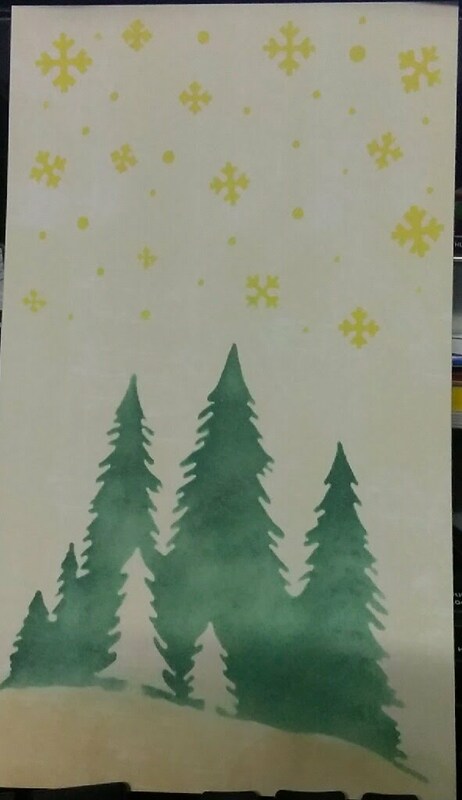 Using a stencil that came in my package a few months ago when we did a collaboration with Clear Scraps, I was finally able to put this stencil to use. First thing I did was cut a sheet of Windsong 12x12 in half and then affixed the stencil using washi tape so it would not move around on me. Of course I forgot to take a photo of that. 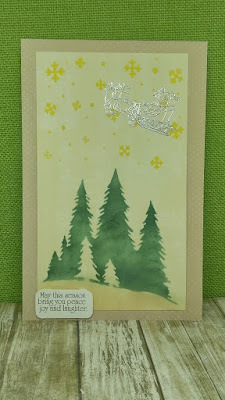 I cut this piece to size and then used a piece of my still favorite paper pack Adventure Awaits to be the back up. I searched through my stamps looking for Santa and the reindeer which I could not find so I found the image as a sticker. The sentiment is from Skipping Stones Christmas Swirls and with that my project was complete. I really hope you enjoyed my project.